This meta-analysis investigated the impact of interventions focused on using signature character strengths. The meta-analysis consolidated results of studies examining the effect of signature character strength interventions compared to control conditions. Twenty-nine effect sizes reported in fourteen articles allowed examination of several types of outcomes. 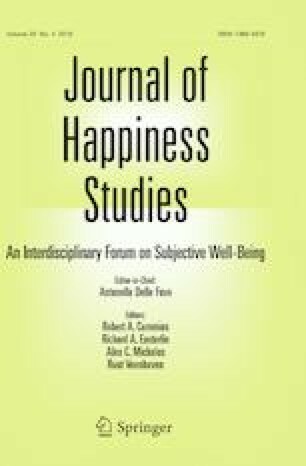 Across nine studies investigating the impact of these interventions on increases in positive affect or happiness, signature character strength interventions had a significant impact, with a weighted Hedges’ g of 0.32. Across seven studies, interventions had a significant impact on decreases in depression, with a weighted Hedges’ g of 0.21. Across seven study samples, signature strengths had a significant impact on increasing life satisfaction, with a weighted Hedges’ g of 0.42. Only a small number of studies investigated other outcomes, resulting in low meta-analytic power for effect sizes for these outcomes. Of note is a significant effect size of Hedges’ g of 0.55 for increase in use of signature character strengths, based on just two studies, which suggests that signature character strength interventions do impact strengths as intended. The promising effects shown in existing studies indicate that signature strength interventions have the potential to contribute to beneficial outcomes in various areas of life and that more research on the impact of signature character strength interventions is warranted. Note: References for studies included in the meta analysis are marked with*. Jackson, D., & Turner, R. (2017). Power analysis for random-effects meta-analysis. Research Synthesis Methods. http://onlinelibrary.wiley.com/doi/10.1002/jrsm.1240/pdf.